This book critically interrogates emerging interconnections between religion and biomedicine in Africa in the era of antiretroviral treatment for AIDS. Highlighting the complex relationships between religious ideologies, practices and organizations on the one hand, and biomedical treatment programmes and the scientific languages and public health institutions that sustain them on the other, this anthology charts largely uncovered terrain in the social science study of the Aids epidemic. 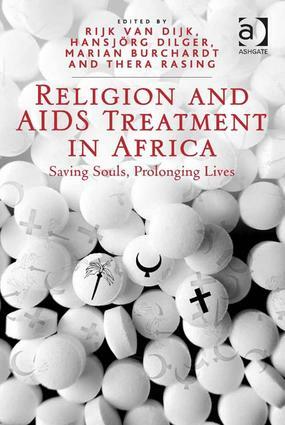 Spanning different regions of Africa, the authors offer unique access to issues at the interface of religion and medical humanitarianism and the manifold therapeutic traditions, religious practices and moralities as they co-evolve in situations of AIDS treatment. This book also sheds new light on how religious spaces are formed in response to the dilemmas people face with the introduction of life-prolonging treatment programmes. Contents: Introduction: religion and AIDS-treatment in Africa: the redemptive moment, HansjÃ¶rg Dilger, Marian Burchardt and Rijk van Dijk. Part I Agency, Subjectivity, and Authority: Fashioning selves and fashioning styles: negotiating the personal and the rhetorical in the experiences of African recipients of ARV treatment, Felicitas Becker; The logic of therapeutic habitus: culture, religion and biomedical AIDS treatments in South Africa, Marian Burchardt; ’A blessing in disguise’: the art of surviving HIV/AIDS as a member of the Zionist Christian Church in South Africa, Bjarke Oxlund; ’God has again remembered us!’: Christian identity and men’s attitudes to antiretroviral therapy in Zambia, Anthony Simpson. Part II Contesting Therapeutic Domains and Practices: Prophetic medicine, antiretrovirals, and the therapeutic economy of HIV in northern Nigeria, Jack Ume Tocco; ’Silent nights, anointing days’: post-HIV test religious experiences in Ghana, Benjamin Kobina Kwansa; The blood of Jesus and CD4 counts: dreaming, developing and navigating therapeutic options for curing HIV/AIDS in Tanzania, Dominik Mattes. Part III Emergent Organizational Forms in Times of ART: Societal dynamics, state relations, and international connections: influences on Ghanaian and Zambian church mobilization in AIDS treatment, Amy S. Patterson; The role of religious institutions in the district-level governance of anti-retroviral treatment in western Uganda, A.M.J. Leusenkamp; Negotiating holistic care with the ’rules’ of ARV treatment in a Catholic community-based organization in Kampala, Louise Mubanda Rasmussen; Notions of efficacy around a Chinese medicinal plant: Artemesia annua - an innovative AIDS therapy in Tanzania, Caroline Meier zu Biesen; Index.